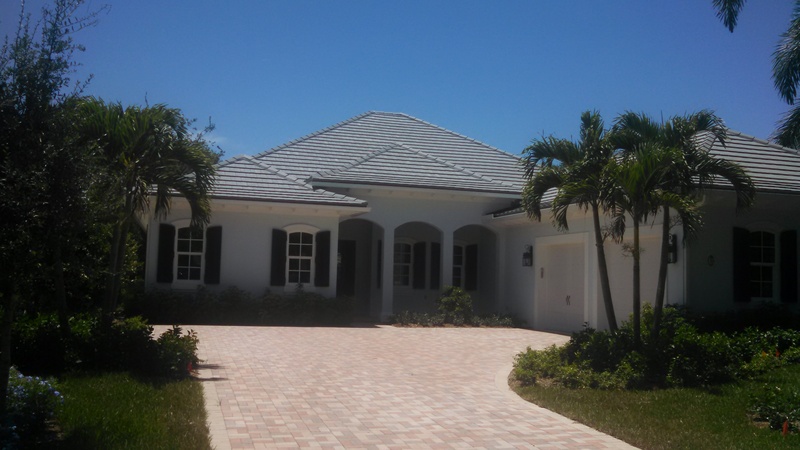 Palm Island Plantation’s new Harrington model home is now complete and move-in ready! This gorgeous West Indies style home is over 3,100 sq. feet of air-conditioned living area with hardwood floors throughout and includes architectural features like an inverted hip ceiling in the Great Room, 11’ step tray ceilings in the Dining Room, Master Suite, Foyer and Study and marble floors in all bathrooms. The open floor plan features an expansive gourmet Kitchen with custom cabinetry, ample storage and a large walk-in pantry feature. Built-in designer appliances consist of two KitchenAid single ovens, Thermador refrigerator, Dacor micro-wave drawer, Bosch dishwasher, and a gas KitchenAid cooktop. In the large Master Suite one will find his and her closets, a free standing soaker tub and a large rain head in the walk-in shower. The home is surrounded by beautiful landscaping, mature oaks, a private lanai and landscaped pool area your family is sure to enjoy! For more information please contact Steve Owen, Broker, at 772-234-6500, or at the Palm Island Plantation Sales Office.